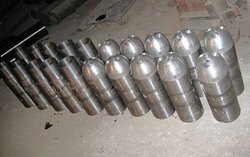 Leading Manufacturer of hinged set screw stop collar, slip on set screw steel stop collar, slip on set screw stop collar and float shoe and collar from Faridabad. This Hinged Set Screw Stop Collar is highly appreciated by our clients because of its unique quality and superior design. This machine can be used in various applications. 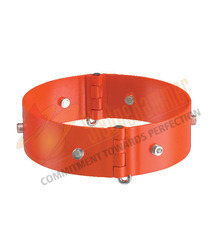 This hinged collar with a row of set screws positions easily and firmly around the casing. These are easy to install. They are available in all sizes. These hinges are durable and corrosion resistant. These are available in various specifications based on the requirement of the client. 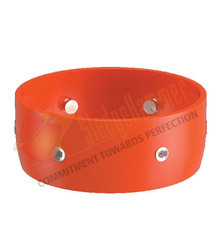 We are offering an unparalleled and extensive range of Slip On Set Screw Steel Stop Collars. The slip on set screw steel stop collars offered by us are manufactured utilizing high grade raw material, sourced from the trusted vendors of the market. Along with this, the offered range is appreciated in the market, owing to its corrosion resistance, high strength, reliability, durability and superb finish. These products are offered in customized packaging in accordance with the diverse requirements of clients. Looking for Screw Stop Collar ?